Freedom. Beauty. Death. Revolution. Isadora Duncan lived them and transformed them through her great art. A stunning dance/theater production of her life story told through brilliant, authentic reconstructions of her most famous dances. “Word shined in Ave Maria, a solo set to the Schubert score. To take such spare, minimal movement and imbue it with emotional intensity is a major triumph." 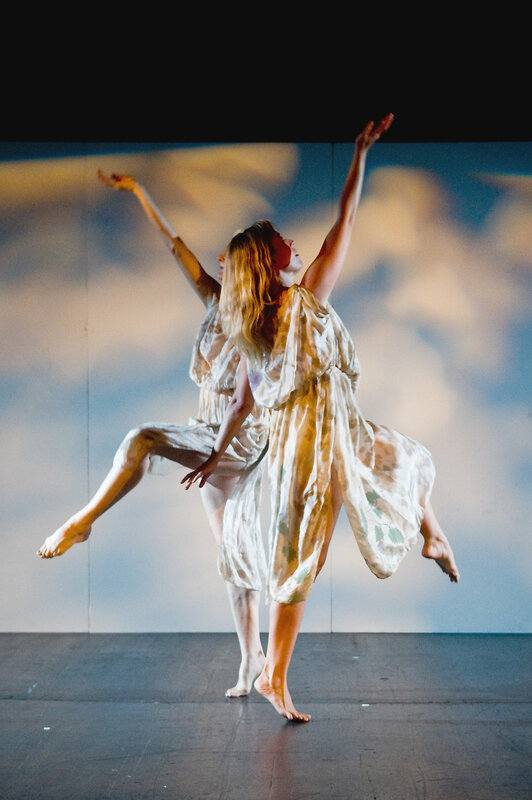 "Equally as innovative [as modern dance's] firebrand, Isadora Duncan." “The dancers show us that Duncan dancing is an endpoint in itself; staunch Revolutionary Etude with its muscular attack; churning, roiling turmoil unleashed in Flames of the Heart; steadfast timelessness in Ave Maria poignant and profound." “The Dances of Isadora Duncan provided a rare treat for Washington audiences… The works, mostly solos, were brilliantly performed by Cynthia Word, Valerie Durham and Ingrid Zimmer." “Cynthia Word used her physical attributes and artistry, to become three beings simultaneously: everywoman, enactor of a ritual, and the refined Miss Ruth (as St. Denis is familiary known). What a powerfully subtle performance!" “Isadora Duncan was a radical feminist nearly a century before the term came into vogue. She was an iconoclastic dancer who broke from the strictures of ballet and the dance hall to create a performing style that became the precursor to modern dance."